A panel at the Colorado River Water Users Association annual conference in Las Vegas discuss progress in the creation of Drought Contingency Plans on Dec. 13, 2018. Luke Runyon reports from Las Vegas. "Even though we reach situations where maybe we're about to all break out into a brawl in there, we come back to the table, we continue to work," Moses said. Moses is referring to a series of public meetings in Arizona to figure out the details of Drought Contingency Plans. Water managers throughout the West were supposed to finish the plans by the end of 2018. They're likely to miss that deadline. If arid conditions continue to plague the watershed, like they have the last 19 years, Sorenson says the state stands to lose a big portion of its Colorado River water. The details of who takes those cuts, when they take them and under what conditions are still undecided, keeping the agreements from being signed and put in place. "That's a painful conversation," Sorenson said. "And of course everyone thinks that their own water use is justified and no one else's is." The All-American Canal snakes across the desert near Yuma, Arizona. The canal takes Colorado River water to agricultural areas in southern California. "And of course everyone thinks that their own water use is justified and no one else's is." Pinal farmers have been criticized as the squeakiest wheel. Former Department of the Interior Secretary and Arizona governor Bruce Babbitt excoriated Pinal farmers for their resistance to a Drought Contingency Plan in a November 2018 op-ed. Rhodes says the criticism is unjustified. "The reason why Pinal County is is fighting so hard on this is because it is so important," Rhodes said. "And we're just trying to survive." The fight has reopened old wounds around the water haves and have-nots in the arid, desert state. More than a century ago tribal members of the Gila River Indian Community saw their water supplies dry up as settlers upstream diverted it away. The tribe's water rights weren't secured until 2004. "I see ourselves bringing history to the table because there have been some sad chapters of history specifically here in Arizona where our water was literally diverted and taken away from us," said Stephen Roe Lewis, the tribe's governor. "We do not want to replicate and make those same decisions again," Lewis said. "We know all too well what happens when our water is taken away from us." Earlier this month tribal leaders signed a deal to supply water to a groundwater replenishment district in Arizona, seen as giving momentum to the larger Drought Contingency Plan. Elsewhere in the Colorado River basin the grieving — or drought planning — process is much further along. 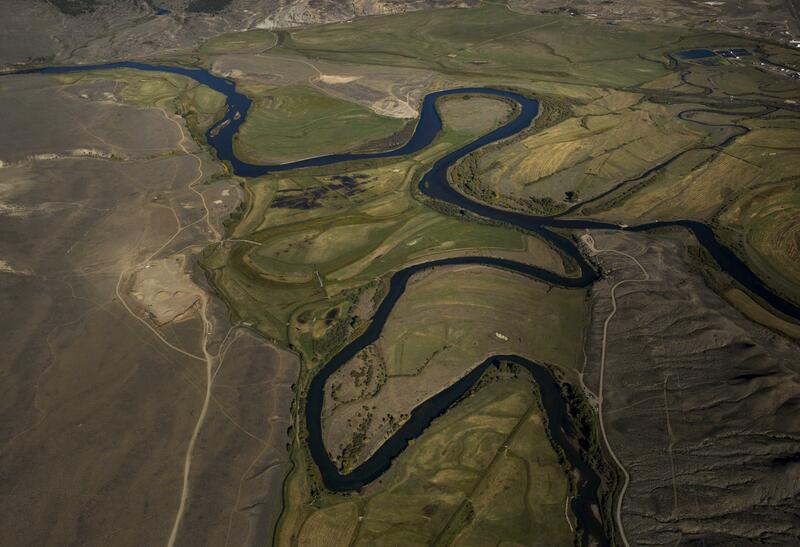 States in the river's Upper Basin — Colorado, Utah, New Mexico and Wyoming — have finished their deal. "We've got to be prepared to deal with changing conditions and how do we adapt to those? I think that we didn't anticipate what we're seeing today." "We need to act now. We're losing time," Haas said. Amy Haas is the director of the Upper Colorado River Basin Commission, which voted to support the Drought Contingency Plan at the Las Vegas conference. Climate change is already stressing the Colorado River, reducing its flow and sapping its reservoirs. Collectively the river's key reservoirs are at their lowest point since the last one was filled. Projections from the federal government show with warming temperatures and reduced mountain snowpack, the situation will only get worse. "We've got to be prepared to deal with changing conditions and how do we adapt to those?" Haas said. "I think that we didn't anticipate what we're seeing today." With its headwaters in northern Colorado, the Colorado River supplies water to 40 million people in the southwest. Eleven years ago in the midst of a severe drought, water managers thought they'd come up with rules sufficient enough to manage shortages within the Colorado River basin. Those guidelines are in effect until 2026. The agreement linked operations of the system's biggest reservoirs, lakes Mead and Powell. John Weisheit with Living Rivers, a conservation group, was there when it was signed. "Everybody was quite excited and I wasn't," Weisheit said. Back then, a glum-faced Weisheit said the much touted agreement didn't go far enough and would result in plummeting reservoirs. "I'm still really concerned there's going to be system failure in the Colorado River basin," he said. Preventing system failure is the job of Brenda Burman, commissioner of the U.S. Bureau of Reclamation. At the Las Vegas gathering of western water managers she told them to skip ahead a few steps in the grieving process and get to acceptance: Come to terms with this new reality. "If I have one message for you all to take away from my remarks today it is this: close isn't done," Burman said. "Only 'done' will protect this basin. Today's level of risk is unacceptable and the chance for crisis is far too high." Burman gave the water leaders until Jan. 31 to complete the plans. Without agreements signed, she says the federal government is prepared to step in. A first-of-its-kind cloud seeding program has started in the mountains of southern Wyoming and could soon be coming to Colorado. Both states already seed clouds from land-based towers. The practice of spraying silver iodide or other chemicals into winter storm clouds to get them to drop more snow isn’t new, but using aircraft is.